Of course you expect cabinets to hold things. After all, that’s their job. With that said, however, some cabinets do that job better than others, thanks to new innovations in organization. If you’re planning a kitchen or bathroom remodel, here are some clever cabinet options to consider. 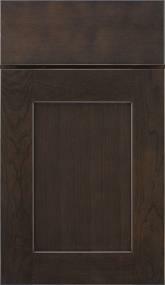 A corner cabinet pullout puts an end to that dreaded “dead space” in kitchen corner base cabinets. Thanks to ingenious swing-out racks, everything in the cabinet comes out so that you can reach it easily. And nothing gets trapped in the back. You’ll never lose your favorite spice again, thanks to smart spice rack solutions from cabinet companies such as Diamond®. Spice racks mounted on cabinet doors, and cabinets already equipped with pull-down spice racks, help keep them organized and within reach. 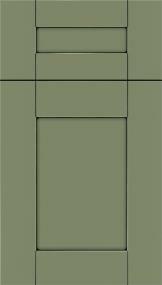 It looks like a decorative false door on the side of a kitchen cabinet. But surprise – it swings open to reveal a slim storage nook for keys, sunglasses and other things you need to grab before you go. A message center offered by Aristokraft® Cabinetry also features a handy magnetic, dry-erase surface on the inside of the door. Have things to store in your kitchen or bathroom, and just a few inches of width for a cabinet? A pullout could be your perfect solution. As the name implies, this cabinet glides out on a track and contains shelves that are open on both sides. Simply pull it out for easy access, from either side. Include a two-tiered organizer in kitchen or bathroom drawers to keep cosmetics, utensils or office supplies easy to see and handy to grab. Multi-tiered pullout racks, configured in a “u” shape, let you work around under-sink plumbing while maximizing storage space and accessibility. Now you don’t have to crawl under your sink to find cleaning supplies or extra cotton balls. Just pull out the rack and let them come to you. This handy gadget installs in your countertop, and pops up to provide instant power access via three electrical outlets and two USB ports. It’s an option offered by companies such as Diamond®, and can be installed in any cabinet with a flat countertop surface and an 18-inch vertical clearance above and below the countertop. Floor space is valuable. So instead of cluttering it with laundry hampers, and trash and recycling bins, consider incorporating a pullout option into your cabinetry. These are just a few of the useful innovations you can build into your cabinet design. Review the inspiration pictures for cabinet storage ideas, and add images you like to your myProSource Project Center. When you’re ready to plan your cabinet makeover, the in-house design experts at your local ProSource Showroom can help you discover solutions to help them do their job better, and help your remodeling budget go further.